To those who do not believe that eye protection is not a vital part of personal protective equipment in the workplace, we want all of those people to sit back and rethink this through. When a workplace injury takes place, many of the workers are injured because he or she was not wearing proper eye protection at the time the accident occurred. If the worker was wearing protective eye equipment and was still injured, often times the wrong eye protection was being worn. Eye injuries result in millions of dollars lost in business operations and production time, in addition to legal costs and medical expenses. The number of workers who are injured on a daily basis should be more than enough to rethink your stance on eye protection. All workers eyes should be properly protected through the use of safety glasses, safety goggles, and safety glasses with side shields. falling object or a flying object. When one of those objects does strike an employee in the eye, the object is usually very small. Skilled workers, electricians, and others generally have a higher chance of suffering from an eye injury due to the environment and the circumstances they are surrounded by. Since different environments and hazards will not require the same exact type of protection, we recommend that your workplace completes a full evaluation of various topics before you decide on the type of eye protection you need for your workplace. How much do you know about the vision needs of your employees? What other types of equipment is being used in your workplace? What type of hazards are your workers surrounded by on a daily basis? What type of regulations and requirements should be followed? If you are using other forms of personal protective equipment, you should integrate the proper eye protection with that equipment in order to create maximum protection for your employees. The safety eyewear you choose should also be suited to the needs of the workers as individuals. 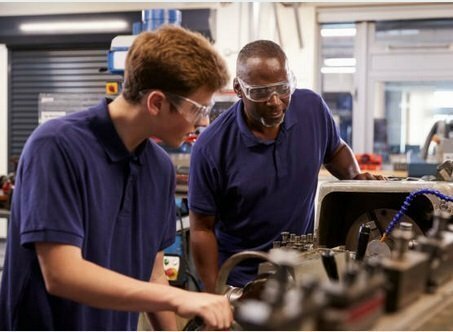 Safety glasses will continue to be a critical piece in the workplace because this can be the key to avoiding some of the common workplace eye injuries. Our face’s bone structure helps protect our eyes from an injury when it comes to the larger objects, but our eyes are still prone to eye injuries if someone fails to take the proper precaution. In the earlier years, the safety glasses were certainly not the best-looking glasses on the market. During these times, there was an assumption that those who wore prescription glasses would get enough protection from their regular lenses. Those who wore prescription glasses were told that they could just add temporary slide shields to their glasses and they would not have any problems. The lenses on safety glasses were made from either polystyrene or polyethylene plastic material. The lenses of safety glasses were created to block any type of objects from making their way into someone’s eyes. The shields on the side of the safety glasses were designed to prevent anything from entering the eyes from either side of the eye. Unfortunately, the fit of the safety glasses was not great and there was not enough protection from either side of the eyes. 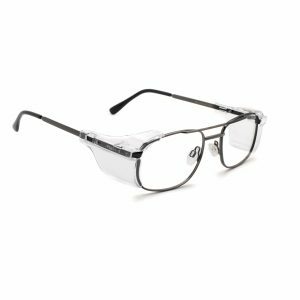 Today’s safety eyeglasses need to meet the proper standards that have been established by OSHA and ANSI, and this includes the side shield requirements. Over the years, there have been major improvements when it comes to safety eyewear and other personal protective equipment. 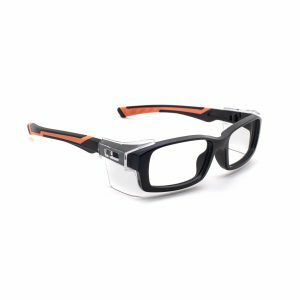 The latest advances in technology have allowed side shields to not only provide effective and efficient protection for the eyes but also an attractive look for those who want to add their own style to the workplace. 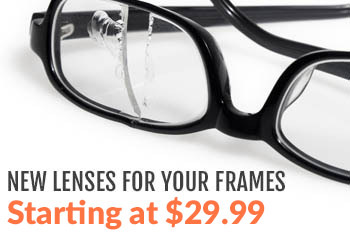 There are also side shields that can be clipped on to the sides of your eyewear. There have been several questions asked in regards to side shields and their importance. Many people also want to know if there is really a difference in the comfort or fit between the safety glasses that have clip-on side shields and the safety glasses that have side shields that are attached permanently. Safety glasses that have side shields that are attached to the frame cannot be removed by anyone. One of the biggest benefits of having side shields that cannot be removed is that you will know all your employees are following the regulations and guidelines. When a worker is wearing side shields that can be clipped on, an employee can easily remove them and wear them even when they are not working. 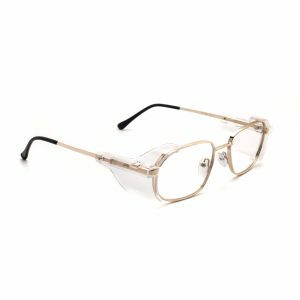 The frames on safety glasses have been designed in ways that make them so fashionable and attractive that sometimes people cannot tell the difference in safety glasses and one’s regular glasses. We can never underestimate how important it is for employees to feel comfortable while they are wearing eye protection. When your employees are comfortable while wearing the required safety glasses, it will usually result in them being more comfortable complying with the regulations and protocols that have been established. There are also safety glasses features that are designed to prevent the lenses from fogging. If there is a chance that fogging can be an issue, there is protective eyewear that integrates a fog shield, in addition to foam surrounding the lenses to provide extra comfort and protection. There are other ways that you can encourage all your employees to wear their safety glasses with side shields, including offering a wide range of eyewear. If your employees are able to showcase their own style and personality with their eyewear, they will be more likely to wear them because they have been given the chance to express themselves as individuals. When you offer your employees multiple options when it comes to style, color, and features, they will appreciate having some control over what they are wearing while working and how they look while working. When people feel comfortable and are pleased with how they look while wearing their personal protective equipment, the chances of them wearing the equipment the right way will increase. However, we are not implying that the attractiveness of the PPE should be considered over the features and functions of the eyewear. We encourage you to ensure all your eye protection products will provide your employees with the features and protection they need while remaining compliant. How can your employees acquire the protective eyewear they need? When should everyone wear their safety glasses? If someone needs to replace their eyewear, what steps should they take? What should the employee do if he or she thinks the eyewear has been misplaced or taken by someone else? It is important that all your employees take on the responsibility of properly caring for their eyewear so there will be no drops, breaks, scratches, etc. Instead of your employees putting their employees down for a few minutes, you can provide straps for their safety glasses. 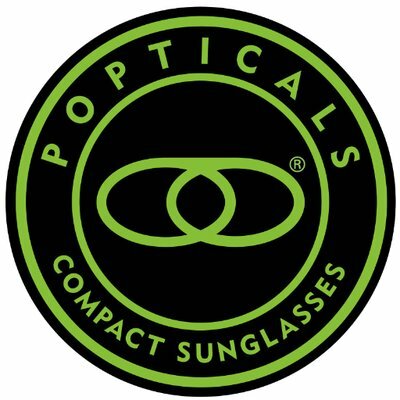 When it is time for the eyewear to be properly stored at the end of the day, employees should have a container that will allow them to keep the eyewear from becoming foggy, dusty, etc. Safety glasses that become scratched or dirty will make it difficult for your employees to see properly, and this can result in accidents and injuries. There are so many options on the table when it comes to safety glasses with side shields. Since there are so many options and so many features that will allow all your employees to be comfortable while working, you should no longer here excuses. For more information on the benefits of wearing safety glasses with side shields, please do not hesitate to contact us today.